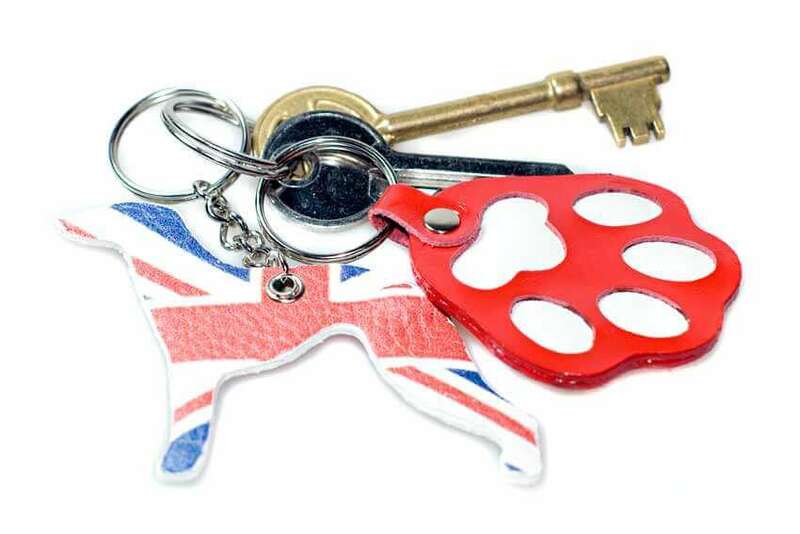 Greyhound key ring fob is a must have accessory for any Greyhound owners. Printed with national flag of the United Kingdom. NEW for 2019. This Greyhound keychain fob is an excellent watch dog to be trusted with looking after your keys. 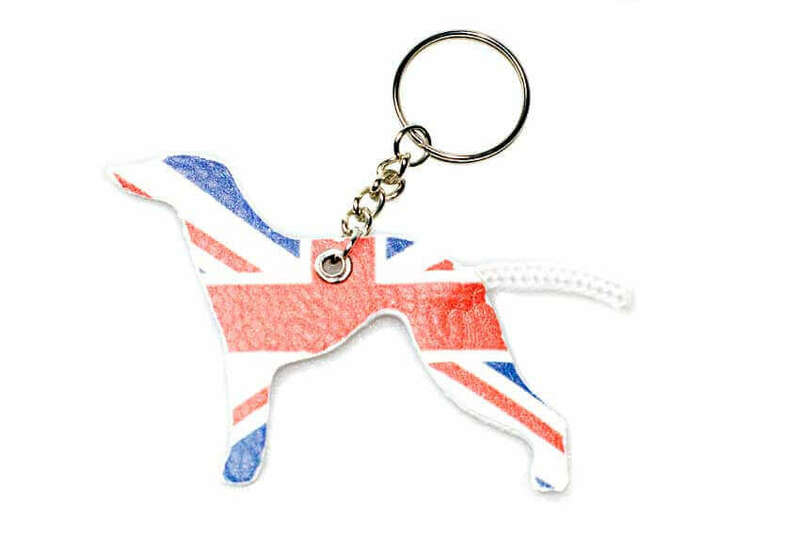 Alternatively, be more patriotic and carry your Greyhound with UK national flag every day by clipping it to your handbag as a bag charm. 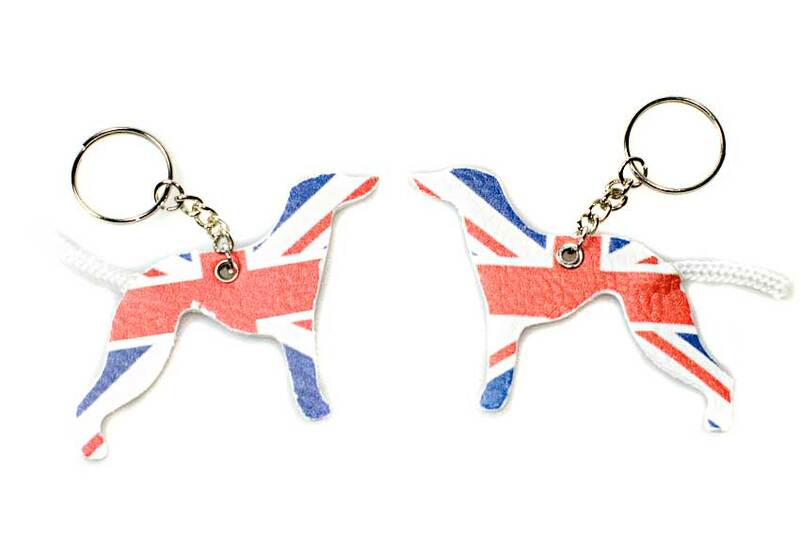 Our Greyhound keyring fobs make excellent stocking fillers and ideal gifts for all Greyhound lovers. They also come in black, fawn and silver coloured leather. We exclusively designed and handmade other dog breed leather key rings chain fobs. Choose from Afghan hound, Greyhound, Whippet, Basenji and designer Cute dog key ring fobs / charms. 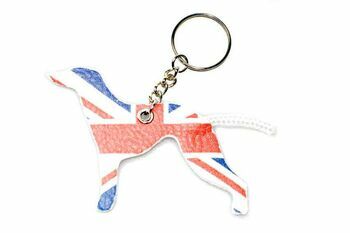 Please browse our shop to see the whole range of key rings, keychains, fobs and bag charms.